 Georgia quarterback Aaron Murray’s career at UGA is over. The school officially announced this morning that Murray tore the ACL in his left knee. The injury occurred in the second quarter of yesterday’s 59-17 win over Kentucky. Murray appeared to first injure it on a long run, but waved backup Hutson Mason off and remained in the game. He would later complete an 8-yard touchdown pass to Arthur Lynch to give the Dawgs a 28-7 lead. 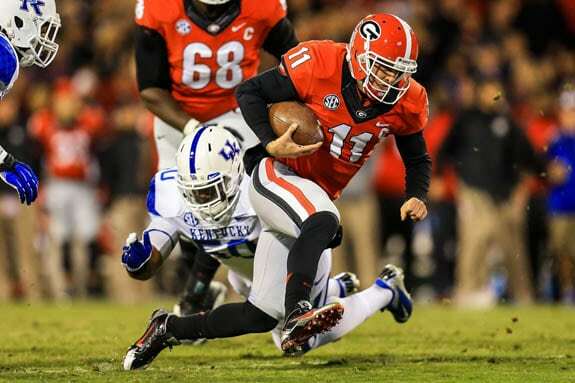 On Georgia’s next possession, Murray drove them down to the Kentucky eight-yard line. On 3rd and goal, Murray threw a pass that was tipped and intercepted. But just after the ball left his hand, Murray was spun and tossed to the ground by Za’Darius Smith. That play ended the night, and career, of Aaron Murray at UGA. The injury to his left knee occurred in the second quarter. He was taken to St. Mary’s hospital where an MRI was performed. He was re-evaluated by team physicians Sunday morning. Murray experienced minimal swelling and it was determined to proceed with the surgery this week, according to UGA Sr. Associate Athletic Director and Director of Sports Medicine Ron Courson. Post-surgery rehabilitation will begin immediately and a full recovery is expected according to Courson. “Wanna thank everyone for making our senior night so special! Truly am blessed to have been your QB for 4 years! Murray finishes his career at Georgia with 13,166 passing yards, 121 touchdowns, and 41 interceptions. In each season, he surpassed 3,000 passing yards, making him one of only three players to ever achieve that feat in the history of college football. Murray also hold several other feats and records at UGA. He started in 52 straight games dating back to the season-opener in 2010, he is the SEC’s all-time leader in touchdown passes, and is second in SEC history in touchdown responsibility (Tim Tebow is first). With Murray out, redshirt junior Hutson Mason will take over the reigns for the Georgia offense at Georgia Tech next week (3:30pm ET, ABC) and in the bowl game. Mason will also likely be the starter in 2014. Mason’s backups will be redshirt freshman Faton Bauta and senior walk-on Parker Welch.